This is a list of meal sites and food share programs throughout Lincoln County for those in need. We aim to support ALL of our families. 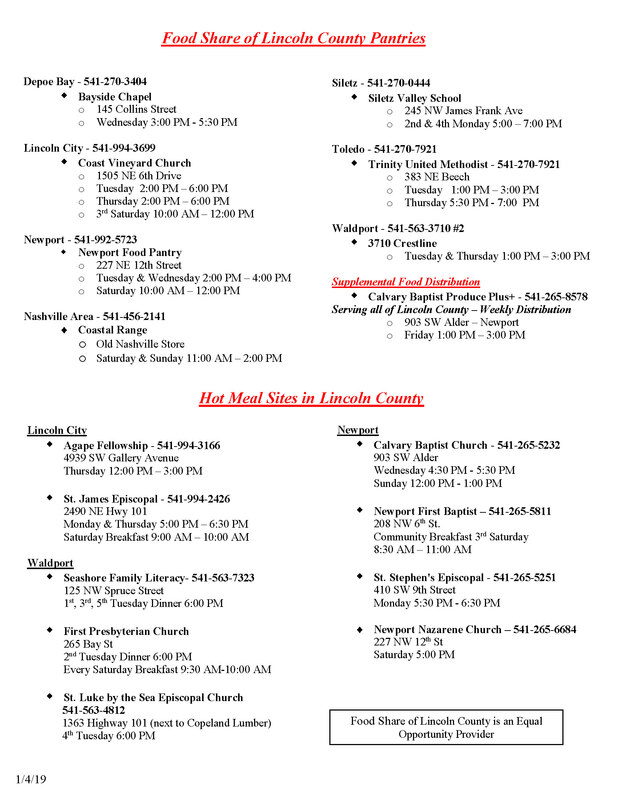 As a reminder, children in Lincoln County School District receive breakfast, lunch, and snacks at no charge.